As a tribute to horror icon Wes Craven, the master manipulator who scared us silly with the franchise-spawning A Nightmare on Elm Street (1984), I am offering the following feature story based on an interview I conducted with the filmmaker at the 1994 Toronto Film Festival in conjunction with the world premiere of Wes Craven’s New Nightmare. At the time, I was quite impressed with the movie, which I described in my original Variety review as an ingeniously conceived and devilishly clever film that proved Freddy's Dead: The Final Nightmare (1991) wasn't so aptly named after all. But I was even more impressed by the blunt-spoken, self-deprecating candor displayed by Craven — who passed away Sunday at age 76 – as he discussed his reasons for returning to the franchise, and some of the real-life inspirations for his on-screen horror stories. Some horror masters look so innocuous, so respectable, so absolutely normal, it's hard to believe they're capable of unleashing blood-and-thunder bogeymen. Clive Barker, the author and sometime filmmaker who gave us Hellraiser and Night Breed, is a boyishly handsome and cheerful fellow who wouldn't appear out of place as the hero's best friend in some British-produced comedy of manners. David Cronenberg, the eccentric auteur of Scanners, Videodrome and the 1986 remake of The Fly, has the bookish, button-down demeanor of someone who might specialize in quantum physics or international economics. And he's the first to admit that, yes, he would. With no apologies whatsoever. Which was a major part Craven's motivation for returning to the scene of the crime, so to speak, to write and direct a follow-up to his 1984 shocker, A Nightmare on Elm Street. That was the film in which audiences got their first glimpse of Freddy Krueger, the fire-scarred, razor-fingered fiend who, over the course of five sequels, became a perversely popular cult figure. Three years ago, the character was decisively destroyed in Freddy's Dead: The Final Nightmare. In Hollywood, however, nothing is ever really final. That's why there now is something called Wes Craven's New Nightmare. ''But,'' the filmmaker quickly added, ''the problem was — and all of us agreed on this — we didn't want to make one where we just said, 'Oh, (Freddy's Dead ) was only a dream — he's really still alive.' So, the challenge was to figure out how to do a film about Freddy where the audience wouldn't hoot us out of the theater. Craven, a 55-year-old Cleveland, Ohio, native, made his filmmaking debut in 1972 with The Last House on the Left, a blood-soaked exploitation movie that received serious critical attention from, among other people, Roger Ebert. He followed that with an equally violent drama, The Hills Have Eyes (1977), then lightened up a bit with a tongue-in-cheek comic-book adventure, Swamp Thing (1982). After A Nightmare on Elm Street, he continued to illuminate horror stories with flashes of dark comedy in such films as Deadly Friend (1986), Shocker(1989) and The People Under the Stairs (1991). In making another sequel to Nightmare on Elm Street, Craven hoped ''to honestly explain to myself why I felt so generally positive about making scary films, and why so much of the audience felt so positive, even while, at the same time, these movies seem to upset so many people.'' As a result, pre-production planning involved a fair amount of self-analysis. Craven forced himself to consider some traumatic events from his childhood — ''A divorce, an abusive situation in the family, drinking, a scary father, things like that.'' At the same time, he also paid attention to the real-life horrors that are major attractions on TV newscasts. ''And I had this realization that, when I make films, usually, on the floor of the sound stage, we're all laughing. And I'm feeling great. And the audiences that I see coming out of my films often are giggling, or really excited and laughing. I've never seen anybody coming out of one of my films where they've looked beaten down, or really depressed, or like they're going to go out and kill themselves. Craven got his latest inspiration for new and improved ways to scare people while lunching with actress Heather Langenkamp, the resourceful heroine of the first Nightmare movie. Langenkamp described her unpleasant experiences involving harassing phone calls from an obsessed fan. Craven sympathized. But he also recognized the dramatic possibilities. The next day, Craven started working on his screenplay for New Nightmare, a devilishly clever and amusingly self-referential thriller. Craven's audacious conceit is that his first Nightmare on Elm Street and the five sequels made by other directors were works of fiction that inadvertently summoned, and briefly contained, a real supernaturally evil force. Unfortunately, after Freddy was killed off in 1991's Final Nightmare, the evil force was freed to wreak havoc — while still in the form of Freddy — on an unsuspecting world. And that, Craven explains while playing himself in the movie's funniest sequence, is why he simply must make another Nightmare movie. It's the only way he can save humanity. Really. Craven isn't the only returnee from the first film. Heather Langenkamp also is on hand, typecast to perfection as Heather Langenkamp, an actress with a cult following for her performance in Nightmare on Elm Street. Ten years later, Langenkamp still is on good terms with her Nightmare co-stars (including Robert Englund and John Saxon, also cast as themselves). But she's reluctant to appear in a brand-new Nightmare sequel. Unfortunately, even though she wants no part of another Freddy flick, Freddy Krueger — or, to be more precise, the real-life monster who has assumed Freddy's form — just won't stay out of her life. And her dreams. ''Right from the start,'' Craven said, ''I gave myself a warning that this film had to be a stand-alone thing. I couldn't imagine anyone who would end up going to see it who wasn't aware of the whole phenomenon of Freddy Krueger, and the whole Nightmare series. But nothing absolutely essential is lost if you haven't seen any of the earlier films. 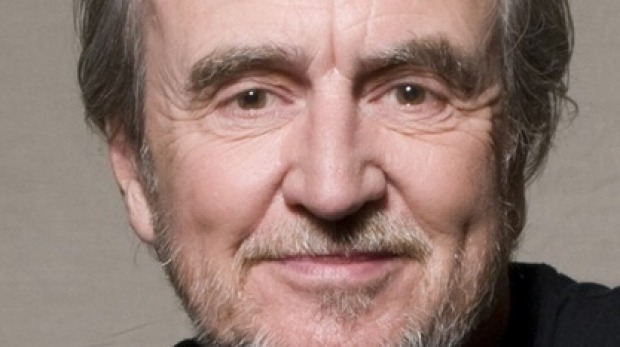 And that is something Wes Craven likes very, very much.